Maari progressing at Mottamaadi... Anirudh shakes leg with Dhanush for a Kuthu song..
Maari is the upcoming Tamil movie being directed by Balaji Mohan featuring Dhanush and Kajal Agarwal in the lead roles. Home » Anirudh | Balaji Mohan | Dhanush | Kajal Agarwal | Maari » Maari progressing at Mottamaadi... Anirudh shakes leg with Dhanush for a Kuthu song..
Dhanush's Maari shooting is progressing well. 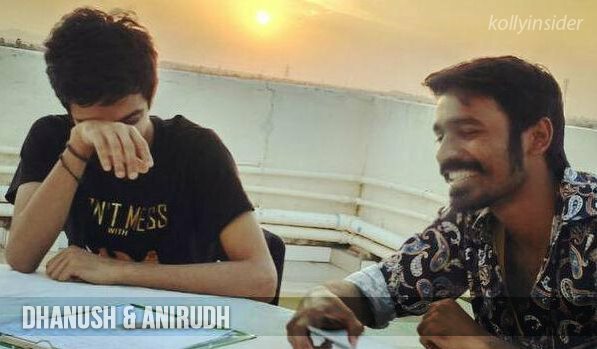 Dhanush and Anirudh are back to writing sessions in their terrace. The duo had uploaded a video shot in a terrace during the music composition of 'Boomi Enna Suthudhe' in Ethir Neechal earlier. The two of them have got back together for Maari this time round. Anirudh has posted a picture in his official page with the following lines. “#Maari sessions.. Back to the mottamaadi@dhanushkraja .. Thara ticket #DnA album coming your way,” posted Anirudh hinting the arrival of the album soon. Maari team has recently shot for Thara Local Boys track- a Mass number, which has Dhanush and Anirudh sharing the dance floor along with a group of dancers. 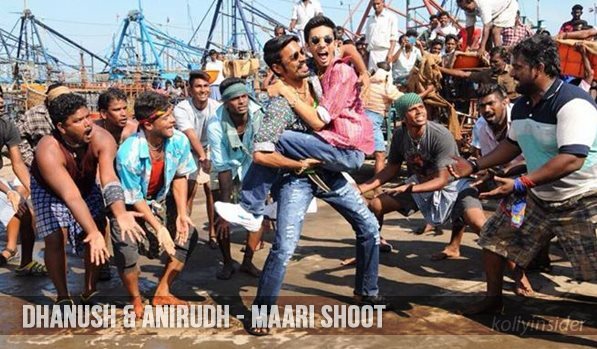 "Had a super fun time dancing with @dhanushkraja for #TharaLocalBoys from #Maari.. @directormbalaji Love, Anirudh", posted Anirudh Ravichander in his Twitter page. Anirudh Ravichander, this name brings waves in the hearts of music lovers. His music albums are sensational worldwide. 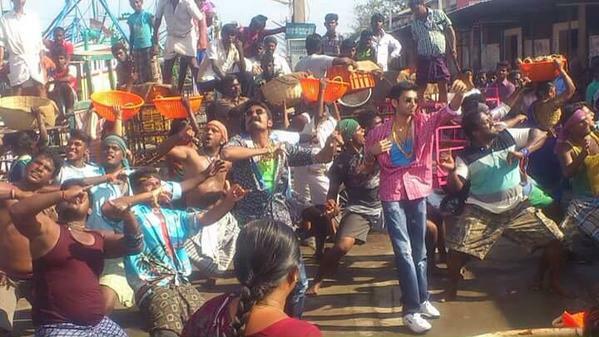 Sources say it’s a kuthu number where Anirudh will be seen shaking his legs with Dhanush for few moments in the song. Magic Frames in collaboration with Wunderbar films are producing Maari.